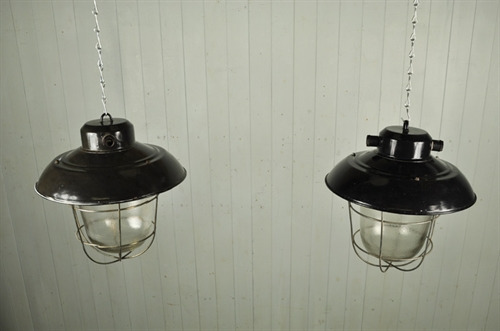 Sourced from old factories in the Czech Republic these vintage enamel pendant lights were originally produced in the 1940's. This new batch just in are in particularly good condition with very few marks etc. 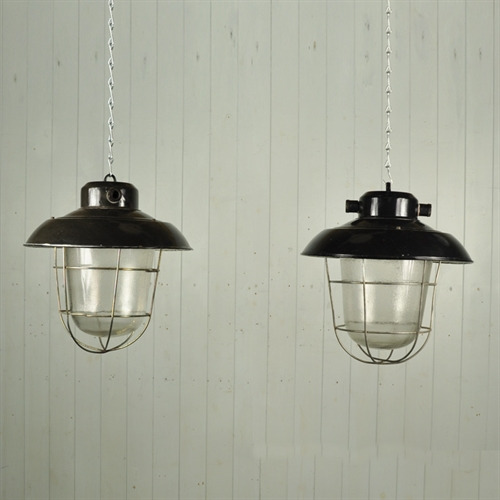 Supplied with a new bayonet style bulb holder, chrome hanging chain and a simple ceiling hook ready to be simply installed by a qualified electrician. 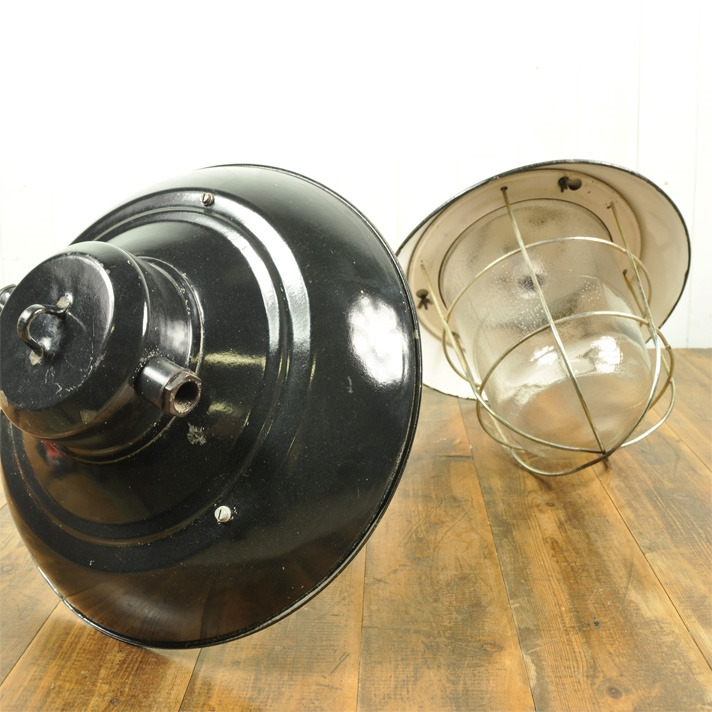 40 cm h x 36 diameter. 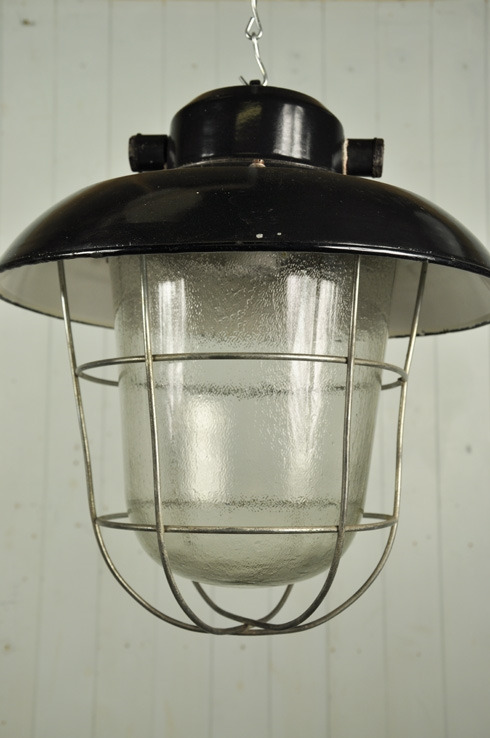 There are 3 extra of these available without glass for £ 100 each, look cool with squirrel cage bulbs..... which i can supply.